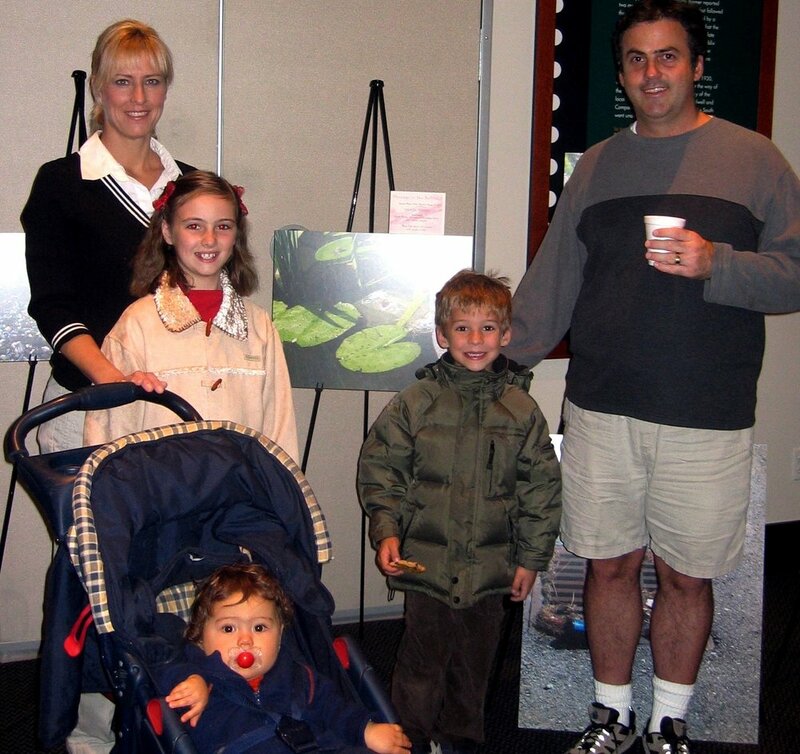 Gracie Young, a Williamson County middle schooler, poses with her family at "Message in the Bottles," an awards reception honoring top photographers in Scenic Tennessee’s 2006 photo contest. Gracie's image of a frog sharing a lily pad with a discarded plastic soda bottle earned her $50 and second place in the middle school division. Scenic Tennessee's photo contests have been educating and inspiring Tennesseans since 1988. As a 501(c)(3) charitable organization, Scenic Tennessee depends on the support of individuals, businesses, local governments and organizations throughout Tennessee. We welcome one-time donations! But if you'd like to become a member, you can do that here as well as well. Benefits of membership include our newsletter Viewpoints, e-mail alerts on key issues, and invitations to annual meetings, photo contest openings and other special events. Your gift also means you'll have a voice in scenic advocacy at both the state and national levels, because Scenic Tennessee is the state affiliate of the national group Scenic America, and it's an organizational member of Tennessee Conservation Voters, a 501(c)(4) that lobbies the Tennessee General Assembly on issues of environmental importance. Plus, if you live in the Greater Knoxville area, your membership in Scenic Tennessee means you are automatically a member of our affiliate Scenic Knoxville. To pay securely online, click on the Donate button below; you'll be taken to a separate window where you may enter your credit card information. If you wish to pay the old-fashioned way, you may mail a check to Scenic Tennessee, 45 Burris Court, Mount Juliet, TN 37122-2376.